With more and more couples choosing to have a destination wedding than ever before, they are becoming less and less similar. Modern couples are becoming more creative, seeking to make their destination wedding just as unique and carefully designed as if they were having a wedding closer to home. 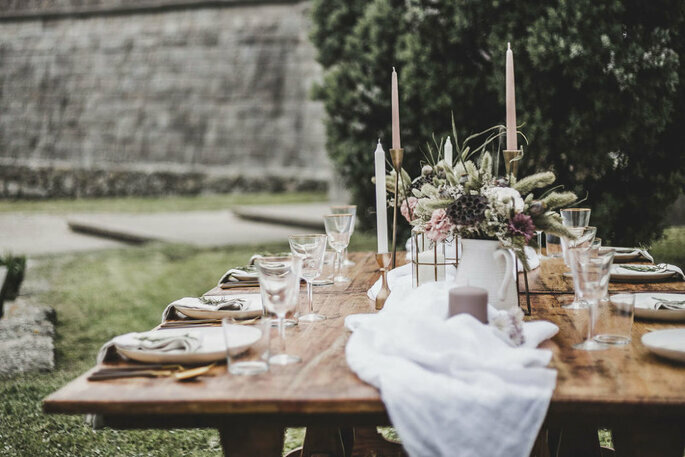 So let us tell you more about the rural-chic style that is a hot trend for 2019 weddings, with some recommendations of destination wedding venues that perfectly suit this theme. Rural weddings are for couples that love the countryside. They may live and work in the city, so desire to turn their wedding into a magical and relaxing escape to a lush green landscape. The chic element comes from the added luxuries that these venues have, and the way in which they are decorated – from warming candles to fresh blooming flowers and sleek table linen. 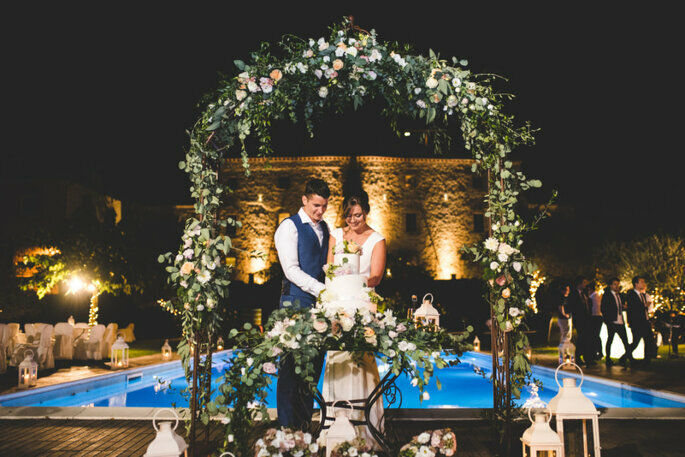 Here’s our top 6 rural-chic destination wedding venues in Europe, simply choose the one that best suits your style and location preference! 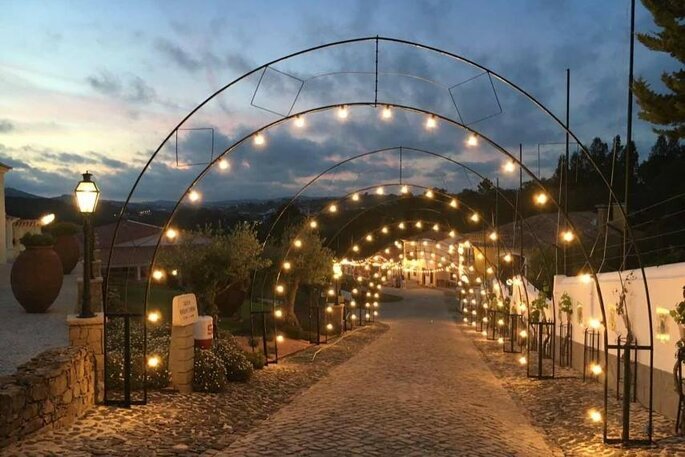 Everything about this Portuguese wedding venue is rural-chic. 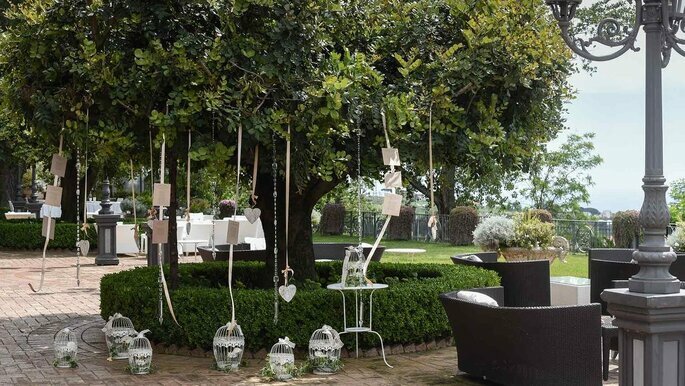 Located in Villa do Conde, a hidden gem of Italy, Quinta do Avesso is a unique and pleasant space where you can celebrate the best day of your lives. Situated not far from Porto and the beautiful Portuguese beaches, it is excellently decorated in a rustic and modern style. This farmhouse promises to be a dream setting to exchange promises of eternal love. Live intensely the most special day of your lives in a unique stage where nature rules. 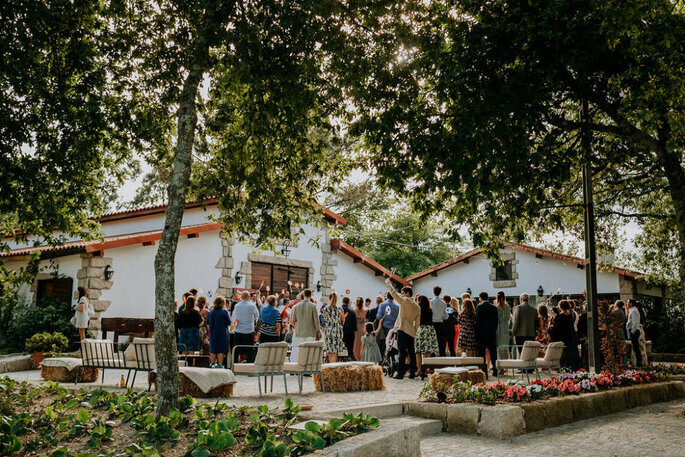 Quinta da Eira has the most modern facilities to host your wedding and to make it a great event. For this, it will provide all the refinement, emotion and quality you need to have a very high standard of sophistication, making it an even more special and meaningful occasion. The eighteenth-century Villa Montegranelli still retains the name of the original owners: the Counts Guidi of Romena and Montegranelli. Nowadays, it is a prestigious location for weddings and events, features 3 dining rooms and 21 guest rooms. From each window you can admire the beauty of the park, the garden maze, and the striking view of the city of Gubbio on the slopes of Mt. Ingino. An eighteenth century farmhouse that has been newly restored to a brand new wedding venue, having opened it’s doors to the public last year. 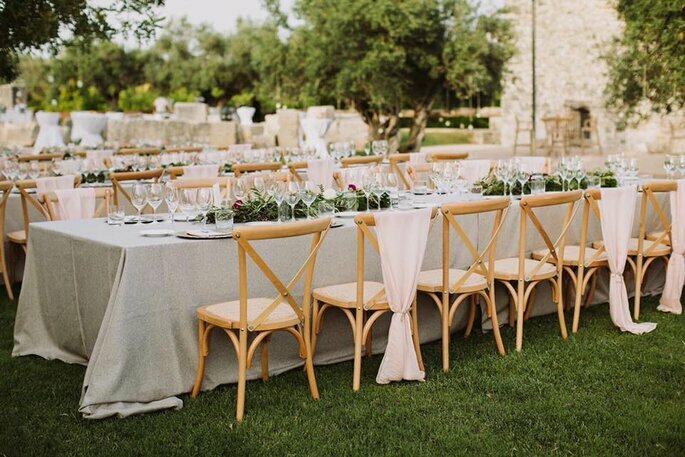 Just a few minutes from the sea, this rural-chic venue is situated in the charming town of Pego, in Alicante. The venue has lovely gardens and outdoor terraces, as well as a new pergola for events and a swimming pool to accompany it. And since it’s all brand new, your wedding will run smoothly thanks to high quality catering and service facilities. With a variety of rooms and suites, you won’t want to get lost in this lovely location. The part of the hotel that best represents the image of the Grand Hotel San Marino, synonymous with hospitality and welcoming, is the lobby, which reflects the modern and elegant style of the hotel. 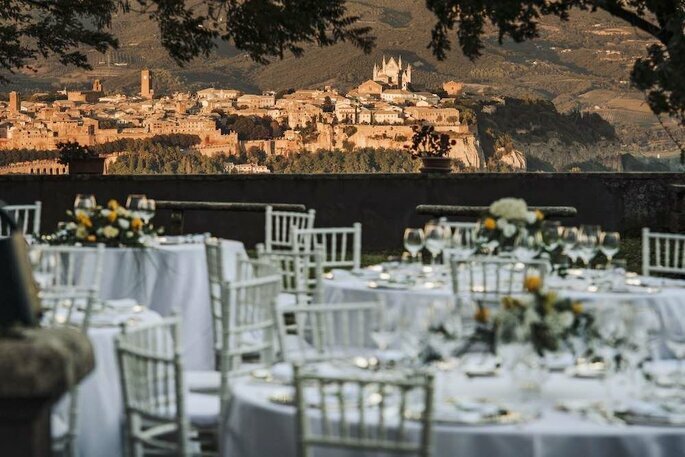 Accomplice to many romantic atmospheres, Castello di Montignano is the ideal location for a reception in grand style. 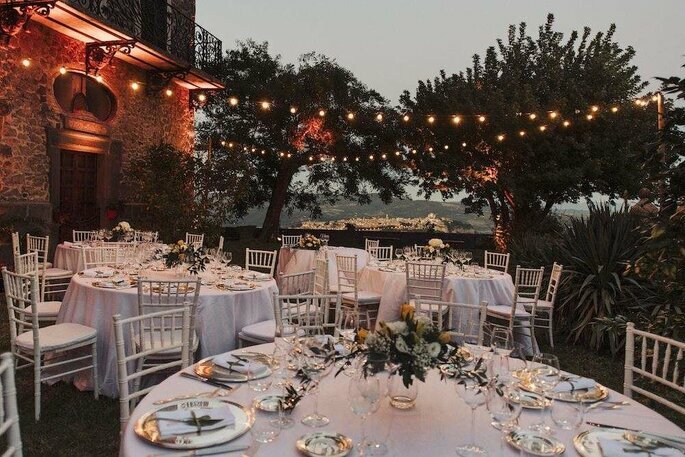 The celebration can take place in the ancient hamlet surrounded by the scenic medieval walls, in the beautiful stone rooms with vaulted ceilings of the castle or in the Olive tree Park with a spectacular view of the Colli Martani. 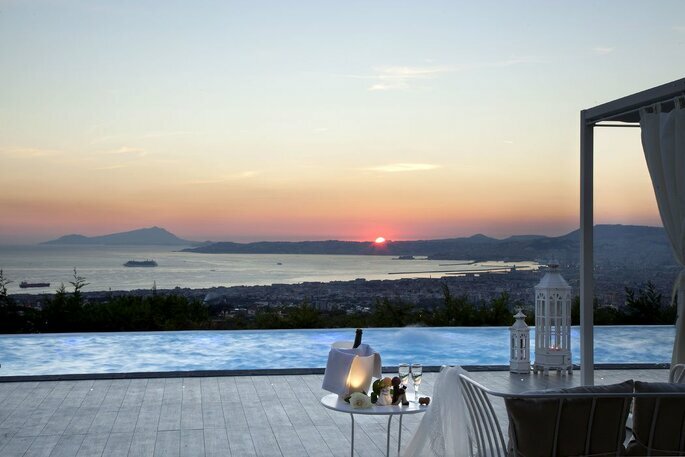 A magical venue nestled among striking beauty, overlooking the wonders of the Gulf of Naples…. It offers an incomparable landscape that can be the perfect setting for your unforgettable wedding reception. Outside you’ll find a huge green park dotted with palms and acacias, a fusion between traditional Italian and English gardens. 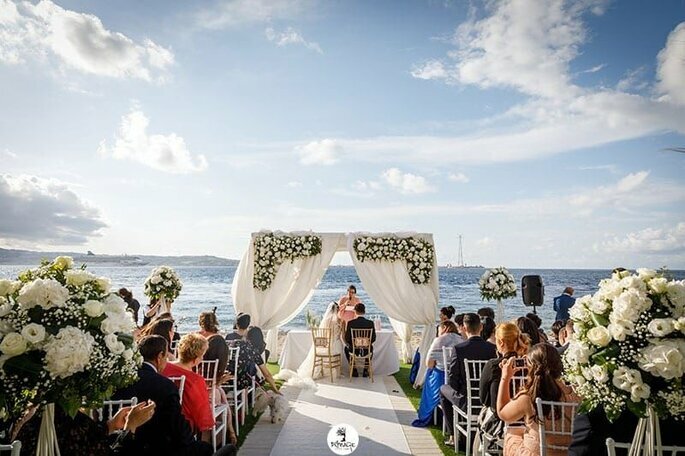 The exterior spaces can be carefully arranged to accommodate romantic outdoor banquets, island buffets, but also ceremonies surrounded by the beautiful landscape. Its infinity pool and panoramic terrace will lend themselves perfectly for welcome aperitifs and the cutting of the cake. 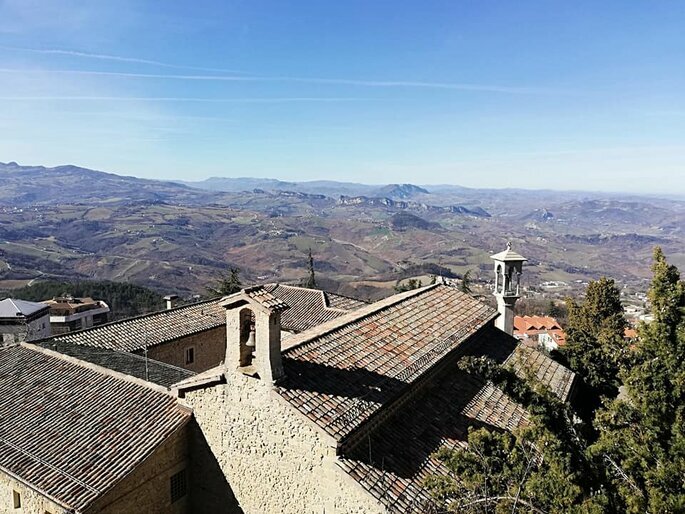 The estate consists of an ancient Villa Patrizia of the late eighteenth century, a farmhouse, a church, a park and a large swimming pool; It stands on top of a hill overlooking the valley and the beautiful city of Orvieto, offering the most spectacular panorama of Umbria. In the 19th-century the villa was the summer vacation stay of Pope Pius IX (1846-1878): since then it has taken its name from the “good travel” wishes that the faithful addressed to the Pope when he left the Villa to return to the Roman seat. 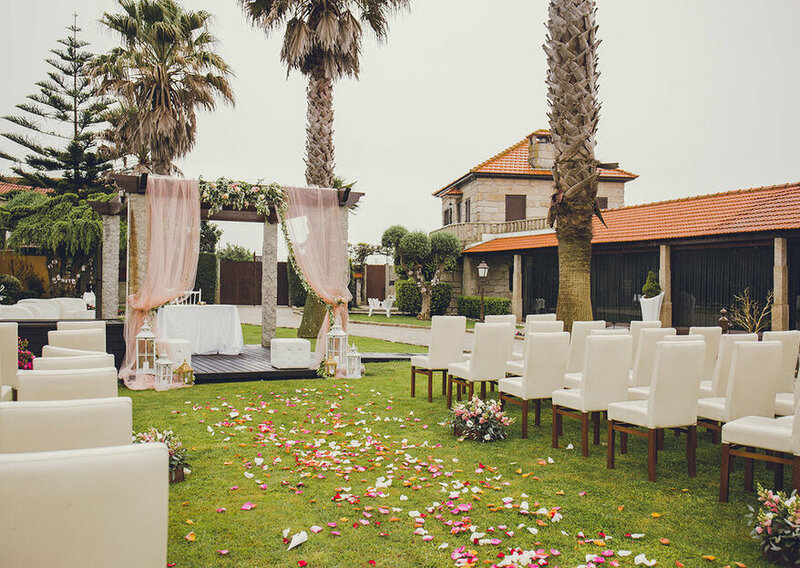 Hotel W Barcelona offers everything you could possibly think of for your wedding day. They splendidly combine luxury and breathtaking views of Barcelona. Their aim is to leave you with the thought that, “it was the best day of our lives”. Their wedding experts will help you with planning every aspect of your wedding day. From finding suppliers, to helping organise all of those last minute details on the day itself. Located in the province of Reggio Calabria, is an ideal location for a dream wedding. The villa is elegant and refined, with the possibility of setting up the reception hall, the splendid panoramic terrace, the beautiful gardens with tensostructures, always accompanied by the professional and helpful staff. 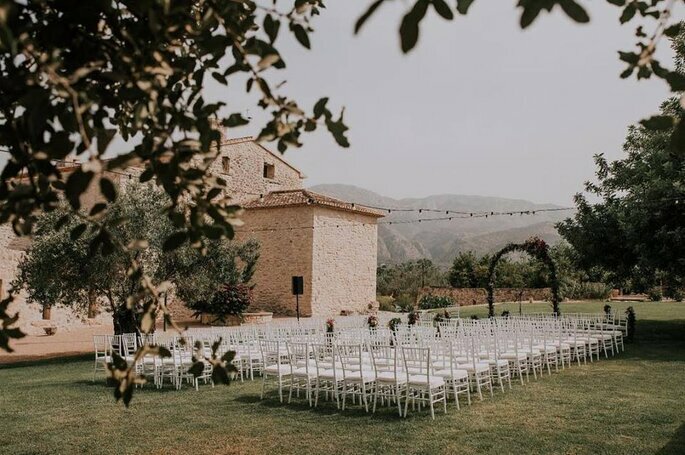 Whether you’re getting married in rural France, Portugal, Spain or Italy, we’re sure that one of these venues will be perfect for your rural-chic 2019 destination wedding.